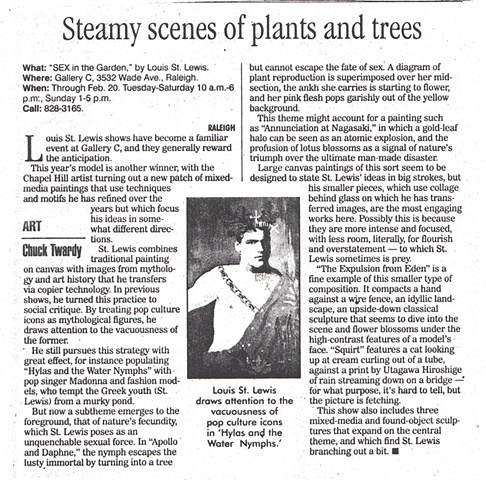 "St.Lewis combines traditional painting on canvas with images from mythology and art history that he transfers via computer technology. In previous shows, he turned this practice to social critique. By treating pop culture icons as mythological figures, he draws attention to the vacuousness of the former"